Caol Ila has always been the stalwart of Islay, producing mainly for the Johnnie Walker blends, but over the years they have gained recognition as a great distillery. This 25 year old only confirms that this is a distillery capable of producing wonderful things. 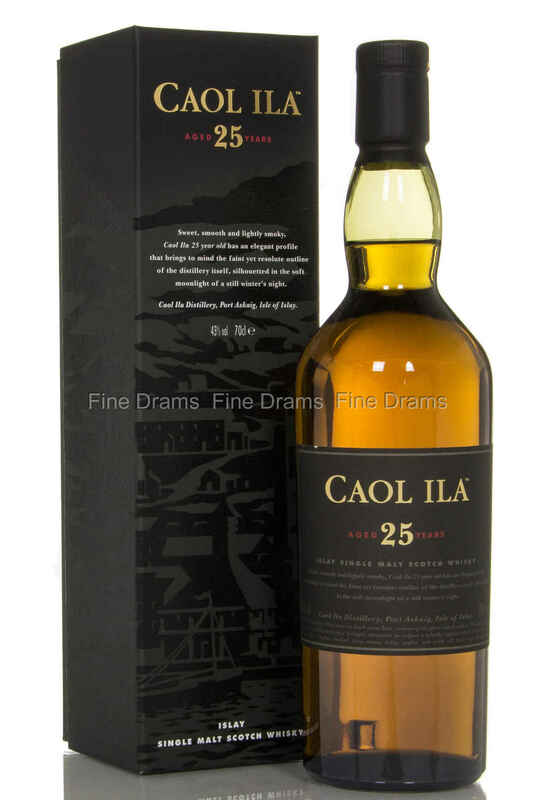 It is bottled at 43% ABV, and has a rich and gentle mouthfeel with restrained, classic Caol Ila peat.